I had decided to return after the audience with the demon king was over, but after I left the meeting room, aide Bartz stopped me and said. The ryujins have the image of being difficult to approach because of their lizard faces, but in reality they are a sagacious and rational race. Particularly, he seems to have a gentle personality. Even if we are both aides, he is a senior, so I accepted the proposal. Which reminds me, there is a high class cafeteria here for the executives. We, the ryujin and werewolf Aide duo, proceed towards the salon for executives inside the castle. At the entrance, the ryujin soldiers saluted us. We enter while quietly returning the salute. Since I had never been to such a high class place in my previous life, this is not a bad feeling. Although the level of civilization is different, but it imitates the pleasant feeling of family restaurants of my previous life. I order the inujin waiter for the deer saute and the potato stew. This being the lunch, I ordered the saute for only three people. It’s not good to eat too much. Somehow Bartz has his mouth open, was something funny? 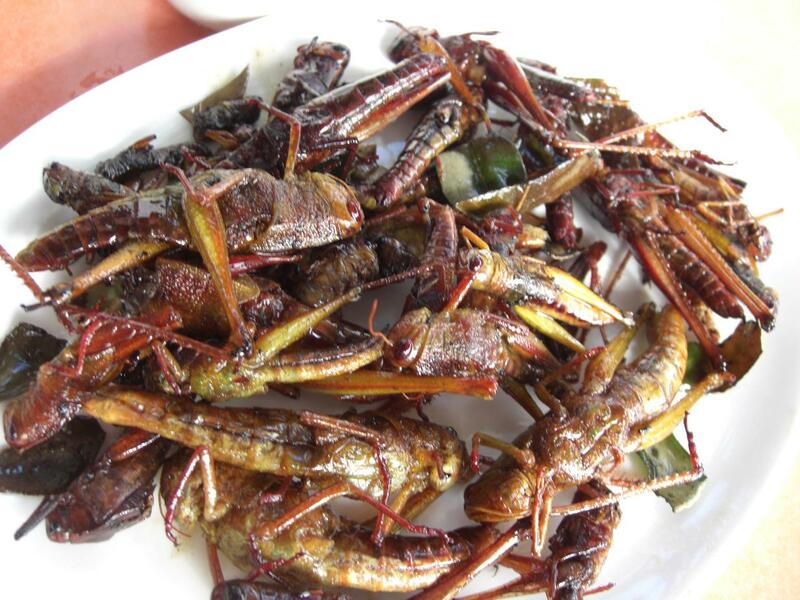 He had ordered the stir-fried fragrant grasshopper. Ryujins are fond of eating insects. During the time the food came, we discuss like the officers of the army. Ordinary soldiers won’t come here, so we can hold these conversations. Drinking the lemon juice, Bartz lightly sighed. As a result, all the humans run away from the city and take refuge in the nearby cities. In other words, refugees. They are idiots, but strong are anyways strong. Then Bartz shook his head. The harsh climates in the north suited the doctrine of ‘cooperation and unity’ of radiant church. If it is individualism like the stillmoon church, passing even a single winter is also quite difficult. Because the food arrived at that moment, we halted our discussion for a moment and bit onto the food. With my werewolf fangs, I enjoy the dripping juices of deer meat to my heart’s content. But there are plenty of methods to avoid the war of attrition. Explaining to me, Bartz gradually became more and more angry, and muttered holding the stir-fried grasshopper. I, too, didn’t have much of that realization. While I am relishing the deer meat, someone came to the cafeteria. White skin and black hair, and then the dress exposing the skin. Swaying breasts. Appearance of a bewitching beauty. Mereen is also an aide in the third division, but among them also she is a top level character. At the same time, she is the first disciple of division commander Gomoviroa. She is my senior apprentice sister. By the way, she is a vampire. Bartz also greets her, and offers a seat. Mereen-senpai sat next to me with a smiling face. Thoroughly diligent Bartz, explains in a gentle tone. Mereen-senpai orders soul sake, and then sighs while leaning on the chair. Oh that’s right, Mereen-senpai’s troops also has captured a city of Mirarudia. It’s to the northwest of Ryun Height, the ancient city, Bernhainen. But her governing is considerably different from mine. That’s right, there is not a single living human among the nobles or soldiers in Bernhainen. The capture of Bernhainen by Mereen-senpai was completely absurd. Along with a hundred vampires, she attacked Bernhainen at night. Overnight, the viceroy and all the palace guards were turned into vampires. After that, just do whatever you want. It’s completely unfortunate for them, but still there was one good thing that happened. Since the viceroy and others were made into vampires, the daily life was peaceful. Of course, they are completely obedient to Mereen-senpai, but other than that its same as usual. There are a number of important intellectual properties, such as the royal library, in Bernhainen, although it was required to limit the destruction in battle to the minimum, but maybe I am thinking too much. Thinking about those thing, I gazed at the glass of Mereen-senpai. Senpai drank the entire glass of soul sake emitting heavy white vapors at once. I am just doing little by little with the sense when I was a human, senpai. Mereen-senpai laughed a little, and poke at my forehead. Knocking her bountiful huge breasts, senpai winked at me. Finishing his food, Bartz begins to talk to senpai while wiping his mouth. Oh, they want to conquer Tuban. With great pains I had got rid of the nuisance, priest Yuhito, but it would be troublesome if he comes back again…. After that, for a while, we spent some time complaining about the superior authorities. Though our master is exceptionally prominent as a magician, but she doesn’t have any interest in strategy. Saying, ‘Crushing them with force is fine’, she is engaged in production of skeleton soldiers. Thanks to that we disciples, using those, have hardships one way or other. For one, I heard an interesting story from Bartz. Usually the demon king is always thinking about things, so if someone is not looking after him, he doesn’t even care to eat or sleep. Since he’s always making difficult faces while having food, the young ryujin waiters are very scared. The competent aide seemed a little bit lonely. He seems to respect the demon king a lot. The demon king himself has perfected the sophisticated system of the demon army, obviously he would be thinking about the complicated things. If he is someone with mighty physical strength only, even if they are the demon race, this much of crowd would not have followed. As expected he possesses ingenuity and popularity. I, again, felt satisfied of the fact that I am enrolled in the demon army.